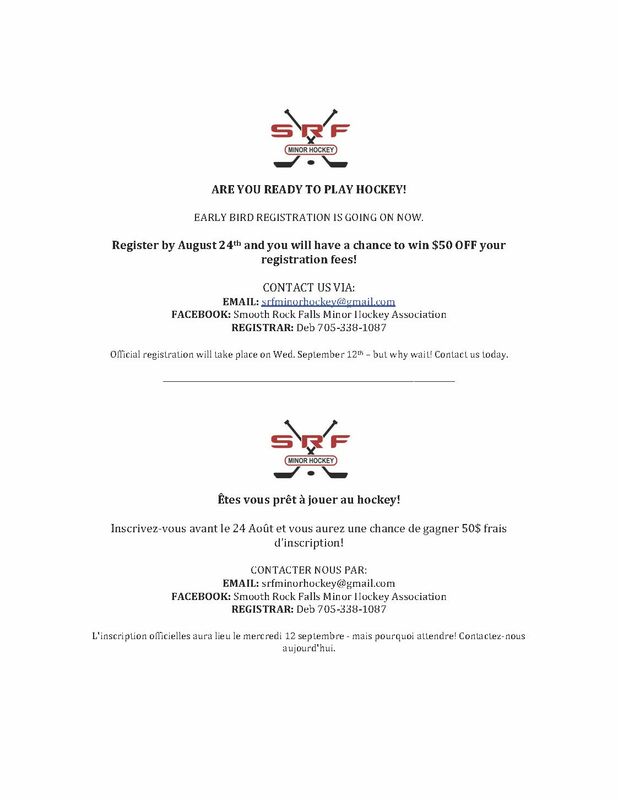 SRF Minor Hockey – EARLY BIRD REGISTRATION IS GOING ON NOW! ARE YOU READY TO PLAY HOCKEY? Register by August 24th and you will have a chance to win $50 OFF your registration fees! Official registration will take place on Wed. September 12th – but why wait! Contact us today.